I am shocked by how great of quality this bag is. I have never bought a gift tote before, and it was a pleasant surprise to get this one. My fingers are crossed that the quality is as high as this one, on the other gift totes offered. I would suggest if you need a gift tote that you spare a glance at these. 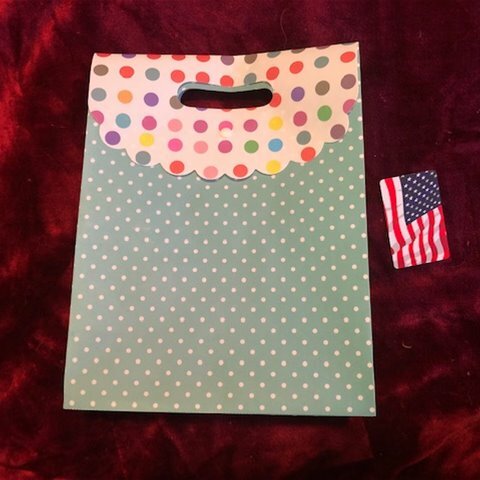 I know it is really weird to be writing a review for a gift tote, and it may be weird to actually read one, but I felt that people should know about this tote. For one it is made of better material than I ever thought it was going to be, it's a plastic material almost like a table cloth. It's very sturdy like I just tried tearing it, and it stretched a little but didn't rip. It has a cute little push button to keep it closed, and it works, it's not too hard to open or close. I was impressed by this bag all around. Reviewed by SexyRampage (Eden Advanced reviewer) It’s all fun and games so why not try something new! 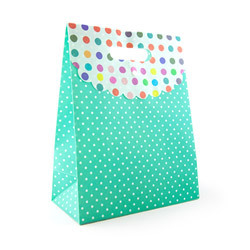 Thank you for viewing Polka dot gift tote large – miscellaneous review page!